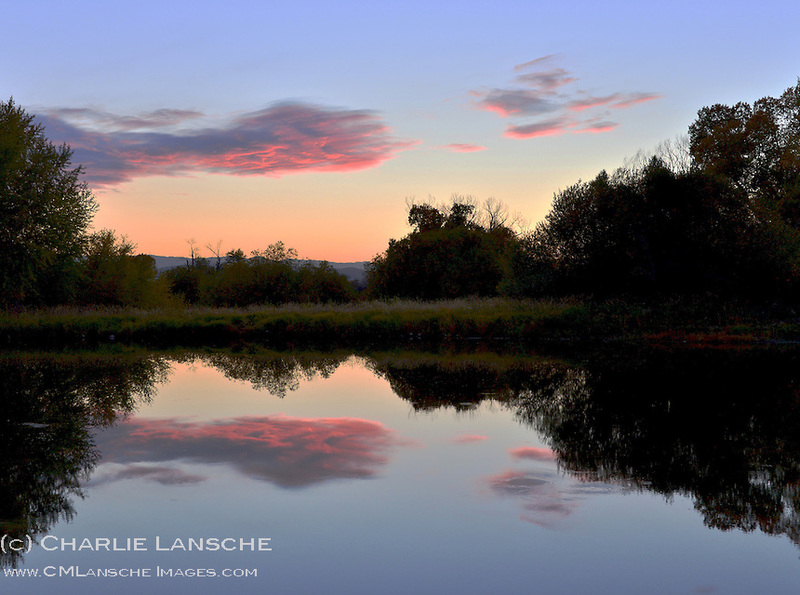 Evening sky reflection over Charlie's Pond. Oakley, Utah. September 2012.